LEGOS – Makerere University’s medical graduates are winners of TechCrunch’s Startup Battlefield Africa 2018. 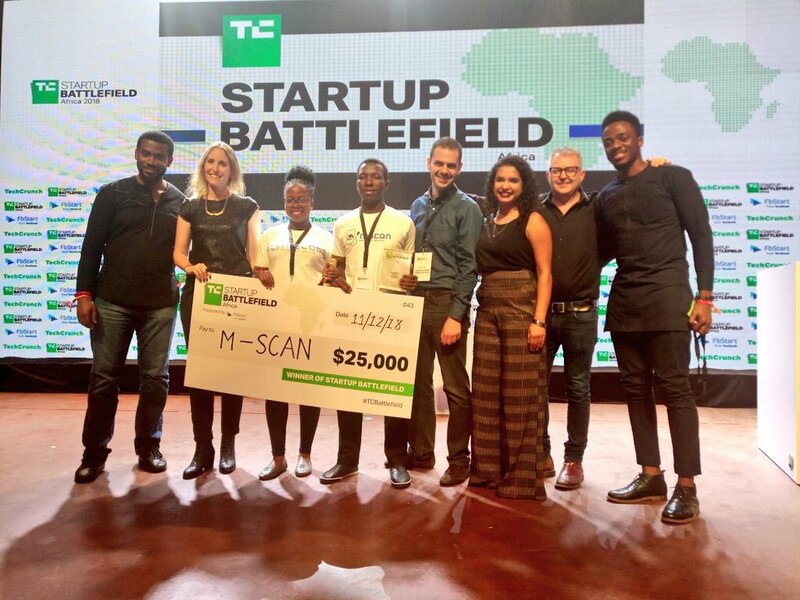 At a grand pitch event held in Lagos, Nigeria on Wednesday December 11, the M-Scan team emerged overall winners with a grand prize of USD 25,000 about Sh92.8m. M-Scan developed portable mobile ultrasound devices (ultrasonic probes) that are laptop, tablet and mobile phone compatible. According to TechCrunch website, the judges were impressed with the innovation’s scalability potential to make many other medical access devices affordable for Africa, where mother and infant mortality is unforgivably high. The runner-up was Bettr, a virtual banking experience powered by your smartphone and your data. Bettr has the potential to make banking way more accessible for millions of people currently unbanked across Southern Africa. Apollo Agriculture, LabTech, FoodHubs, Agripredict, MAX, Trend Solar, Sudpa, among several others. Last year, the first Startup Battlefield was held in Nairobi, Kenya. A number of African startups showcased their innovative solutions and effective business models. TechCrunch reviews several hundred startups from across the region, selecting the top 15 companies to compete onstage.